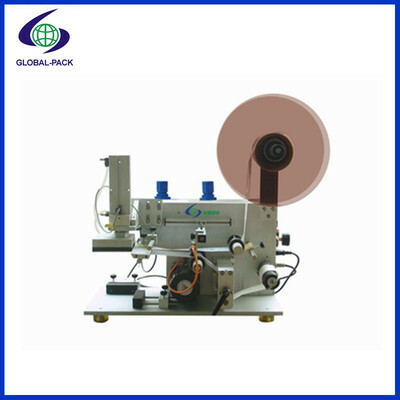 Semi automatic top labeling machine GLB-100 - SHENZHEN GLOBAL PACK CO., LTD.
1. Application: Label stick for Flat bottle, box, or other itemswith flat surface. 1) PLCcontrol system and reliable and durable “Lezee” specific electrical eye tracinglabel. 4) Costeffective and high efficiency. 5) Ifsticking transparent labels, special transparent label photoelectric switch isneeded.